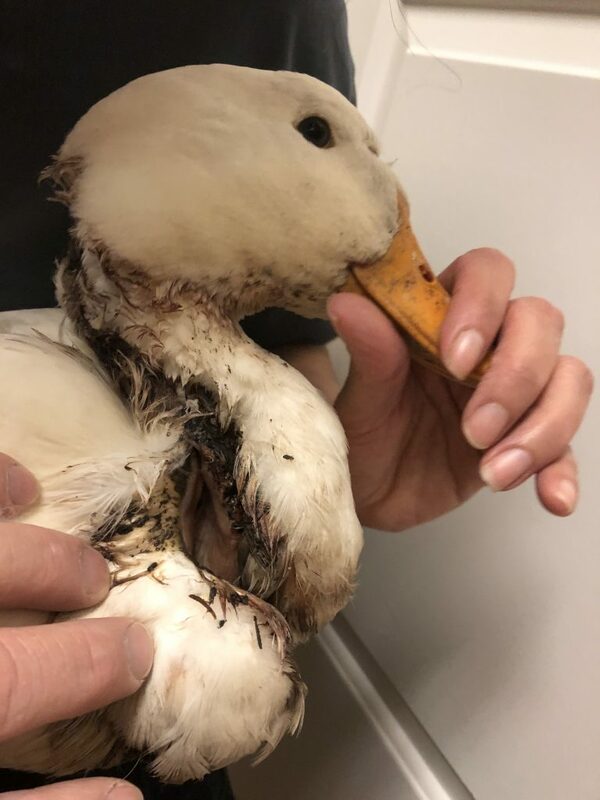 Here is just another sad and disturbingly tragic story of duck dumping. Will people ever understand the pain and suffering that these poor angels go through when dumped into the wild, because of the blatant ignorance of actions? 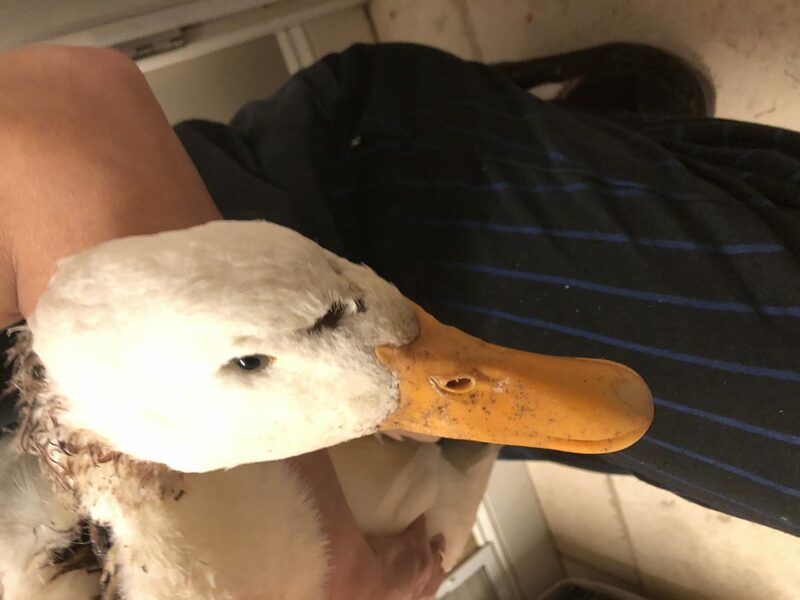 We received a call late into the evening late night, about a duck that was apparently struck by a car the night before, where three of her siblings weren’t as lucky, or maybe they were the lucky ones at the time. This angel, who we currently call Wonder Girl, has been at the vet since seven this morning. I headed out around 11pm last night, and was fortunate that Cheryl, who was transporting her, was able to meet me in Fenton, to pass her along to us. I returned home around 1 am, anxious to get her to the vet when the doors opened at 7am. Also, thanks goes out to Mary, Regina and Beth, who all had a hand in this rescue in some way. 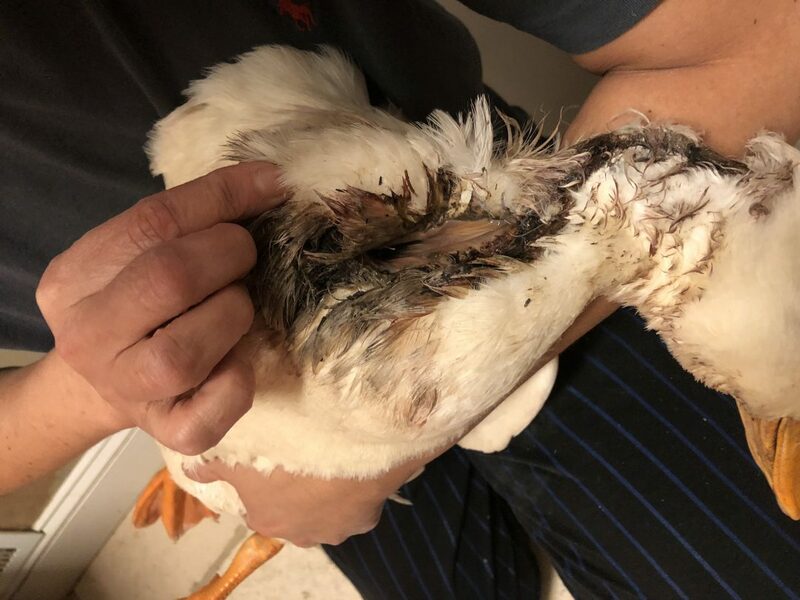 This is the result of a pure disregard for the life of an animal. This was 100% avoidable! First, by not buying a ‘pet’ that you are not going to care for, for their entire life, and secondly, not making a diligent attempt to find them a loving home. This is NOT an uncommon practice, especially this time of year, during the upcoming Easter holiday. What ducks and Easter have in common, I will never understand, oh yea, I forgot…profit!! 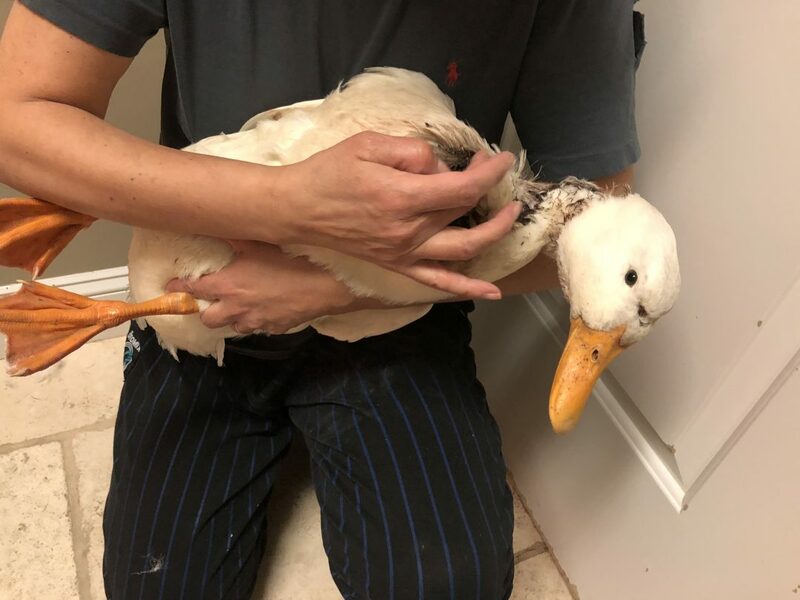 It is my understanding that this innocent angel, Wonder Girl, was found on the side of a road in a ditch, in Montrose, where three other ducks were scattered about the adjoining street, slaughtered from the moving traffic, as early as Saturday evening. So she has been in this condition during at least one freezing night and 24 hours minimum, to say the least. How she survived so far is beyond me, only if for the sole purpose to help get this story out. She no doubt has her own angel, and God’s grace. When I arrived home, we quickly weighed her so we could administer some pain medication, and then we decided to try to tube feed her sometime, since she probably hadn’t eaten in well over a day. It is then that I realized that her esophagus was slit vertically approx. 2 inched down, when the food just poured out of her neck. I then decided to just syringe some liquid through the slit down into her crop to at least give her some nourishment, thinking that in the shape she is in, it could only help. Her surgery today will be very extensive. 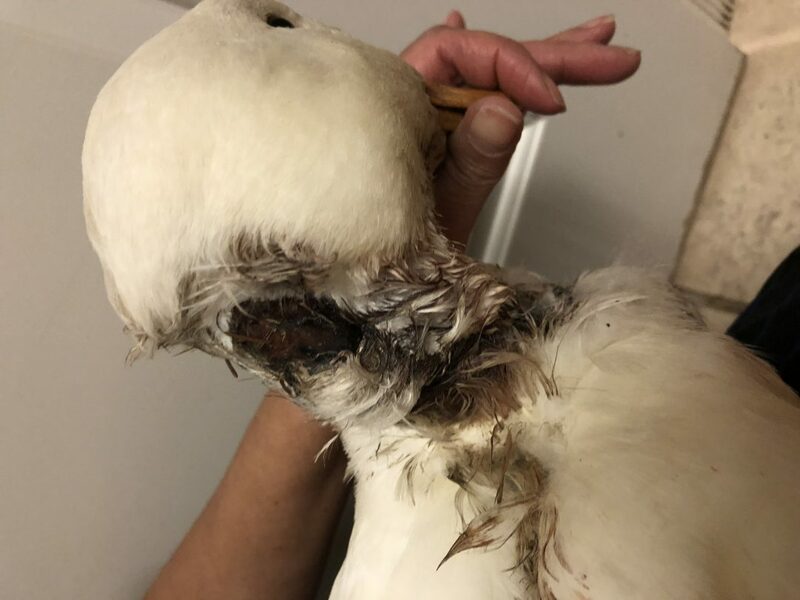 Aside from the other lacerations, her esophagus AND her neck, will have to be sutured closed. You can also see where she had been pummeled on by the males in her little group. Please send prayers her way, and thank you for reading her story. I will follow up with her miraculous survival, as soon as possible. ← A Ducks Christmas Wish!